Blizzard's favorites are now Skillet's favorites and vice versa. Upgradeable recipes are now fully supported by Skillet. The slider to adjust the count of the number of items to craft has been replaced with up and down buttons. For anyone else who's interested: this addon is licensed under the GPLv3. This is not an error caused by Skillet as it does not contain any calls to GuildControlSetRank(). Skillet most likely got blamed because it happens to have the latest copy of an ACE3 library which was used by some other addon. oh i din't know that swatter could blame mods for wrong. that's uncomfortable! thanks for telling me! Message: Error: AddOn Skillet attempted to call a forbidden function (GuildControlSetRank()) from a tainted execution path. 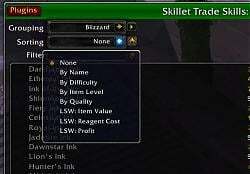 Skillet 4.06 for Battle of Azeroth is now available. 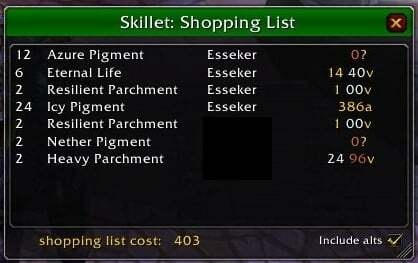 Re: Skillet sometimes prevents queuing for a BG. 2x [ADDON_ACTION_FORBIDDEN] AddOn 'Skillet' tried to call the protected function 'JoinBattlefield()'. Skillet does NOT contain any BG related code (including 'JoinBattlefield()'). The only combat related call in Skillet is 'UnitAffectingCombat("player")' to prevent calling Blizzard API functions that would fail if the player was in combat. Why Skillet is being blamed for this is a mystery to me, but it will remain so unless detailed steps to reproduce the problem appear in an issue opened on our Project Site. Skillet sometimes prevents queuing for a BG. Skillet 4.05 for Battle of Azeroth is now available. There are substantial changes to professions and the recipe structure. Do not report problems or bugs here as I may not see them. Last edited by bsmorgan : 08-30-18 at 02:41 PM. 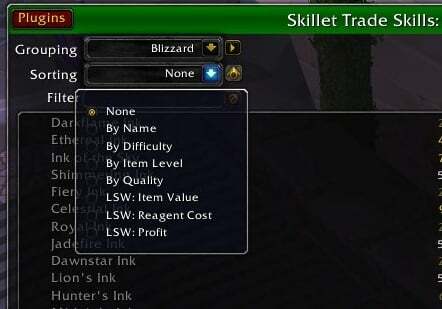 Skillet is very badly broken in 7.0.3 as Blizzard has completely reworked the trade skills interface. Work is in progress to determine if it can be fixed. Last edited by bsmorgan : 07-20-16 at 08:45 AM. Hi, can you put some lock button on Skillet window ?? Several times misclick the borders and made a mess resizing again. i've added to leatherworking some draenor patterns that are not showing up in Skillet, if i disable it and use the blizzard ui it's all working but in Skillet i cannot find them. Try Skillet again (after using the Blizzard UI). If necessary, close Skillet, type "/skillet flushrecipedata", and open Skillet again. If it still doesn't show the recipes, please open a ticket on the project site (link on the info tab). 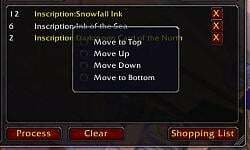 BTW, you do not have to disable Skillet to use the Blizzard UI, just shift-click your tradeskill. 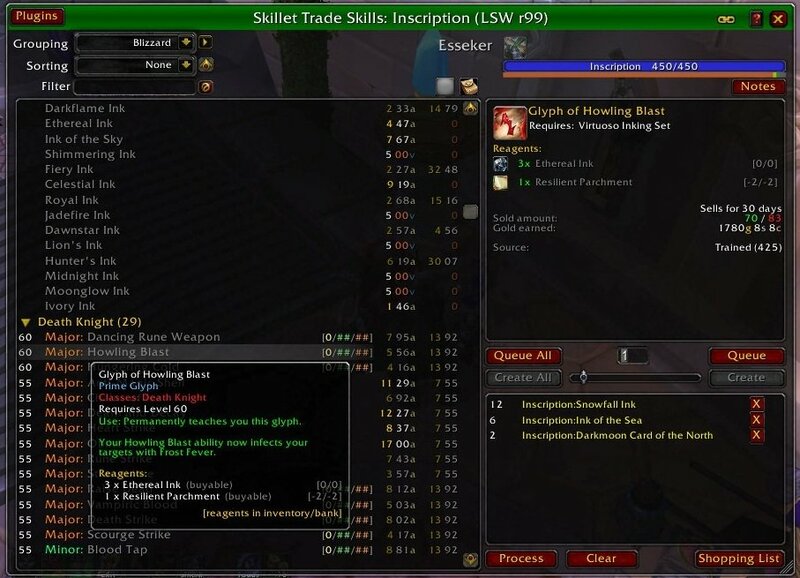 Edit: My leatherworker just learned the new 6.2 recipes today with no issues (i.e. they showed up right away). Skillet was closed when I learned them and then opened. Last edited by bsmorgan : 06-25-15 at 11:34 AM. Due to a large number of issues which I can't reproduce (and therefore can't fix), I am reverting to 2.80 as the latest release version of Skillet. Edit: Progress continues with 2.81, 2.82, etc. Last edited by bsmorgan : 06-19-15 at 11:47 AM. i like to request a feature. i like to have skillet being able to sent and recieve working orders from other skillet users.